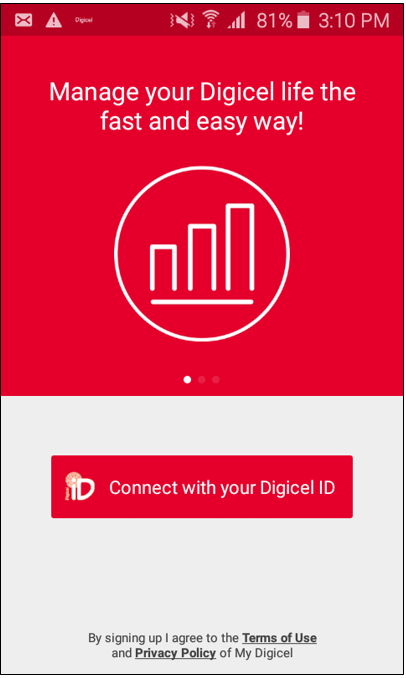 Manage your data plans on My Digicel App by clicking here. Step 2. 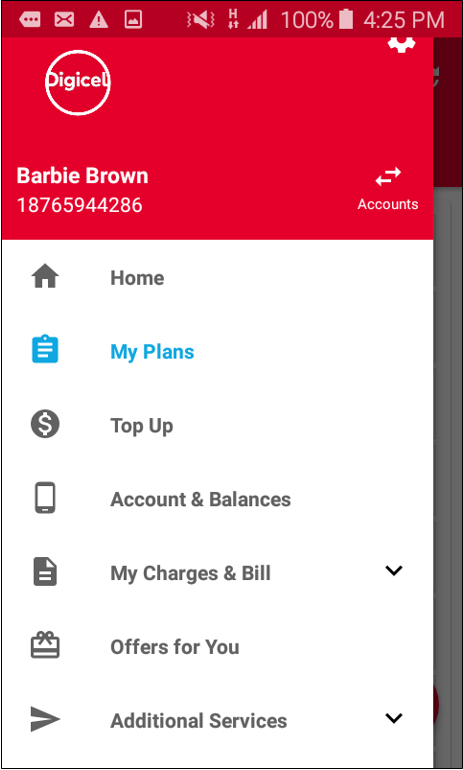 Once logged into the App Select ‘Menu Option’ ( ) button at the top left hand corner and select ‘My Plan’. Step 3. 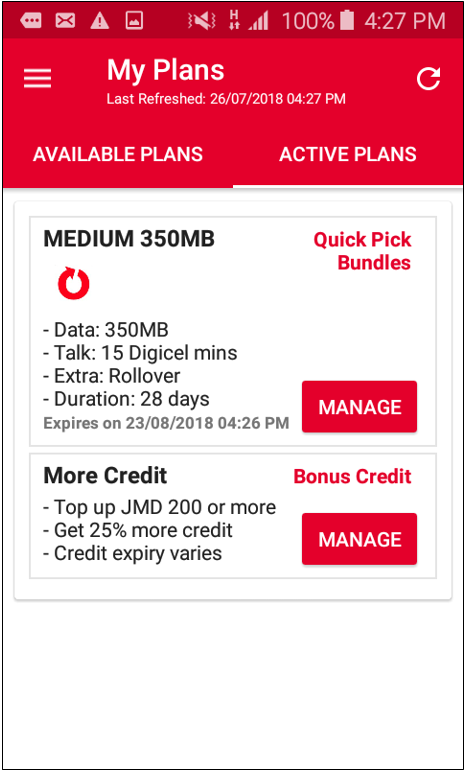 Now choose 'Active Plan'. Step 4. Select 'Manage' next to the desired plan. From the drop down select the action you would like to perform “Opt Out”, "Auto-Renew" or "Change Plan". Step 5. Select action and confirm. Click 'YES' to confirm. 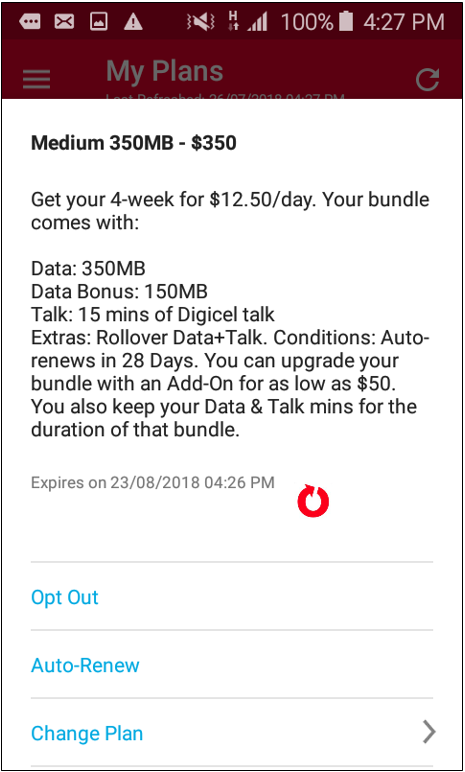 By opting out of the plan, it will not auto-renew and the plan will terminate at the time of its validity (example a one day plan will end in 24 hours.) 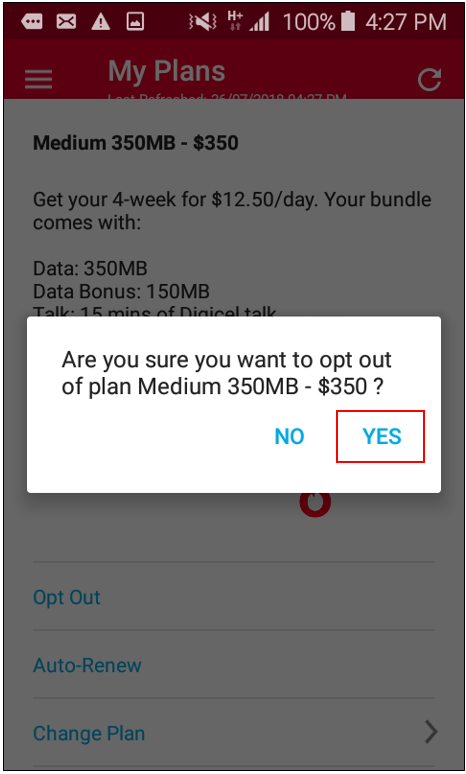 If you would like to change your data plan, you can get directions here. Please note: Screenshots are for the updated version of the app. Be sure to download the updated version experience the full functionality today!